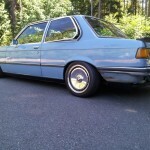 Here is your opportunity to purchase a very rare and unique Pastellblau 1978 BMW 320i with 6 Cyl swap! Bid with confidence! I have sold many rare, high end, Cars and Motorcycles with zero complaints and 100% positive feedback. $.99 opening bid, NO RESERVE! 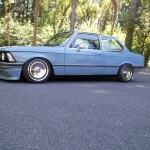 Listed here is a rare 1978 BMW E21 320i, heavily modified. Former auto-cross car, current Stance car. 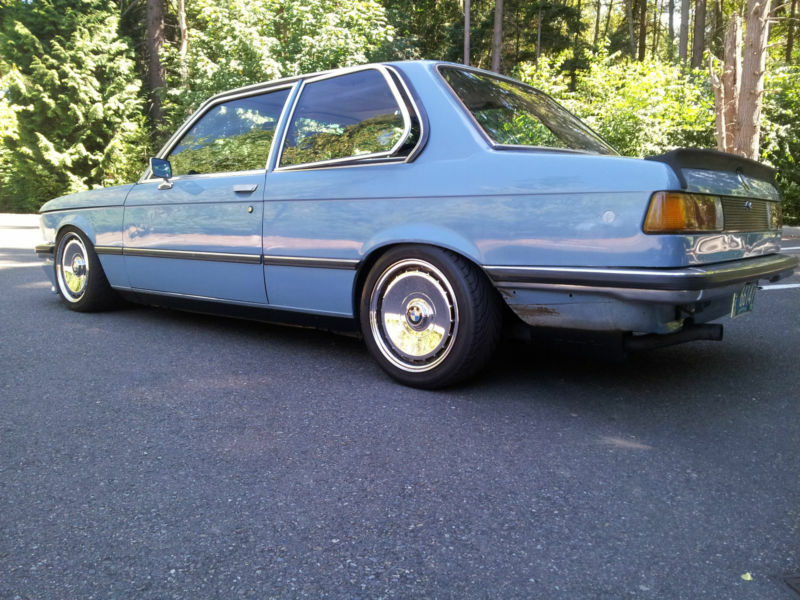 Up for a no reserve auction is a 1978 BMW 320i in rare Pastellblua (originally a 2002 color and only produced by BMW for one year in the E21 body). This car was originally built with performance in mind as it was a former autocross car/ daily driver. A rebuilt (~42k miles on rebuild) M20B25 inline 6 out of a 1987 325is was swapped into the car giving it an amazing amount of power. 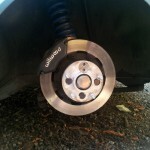 The rear sub-frame was swapped with a modified E30 sub-frame along with a limited slip differential and euro 323i rear disc brakes. 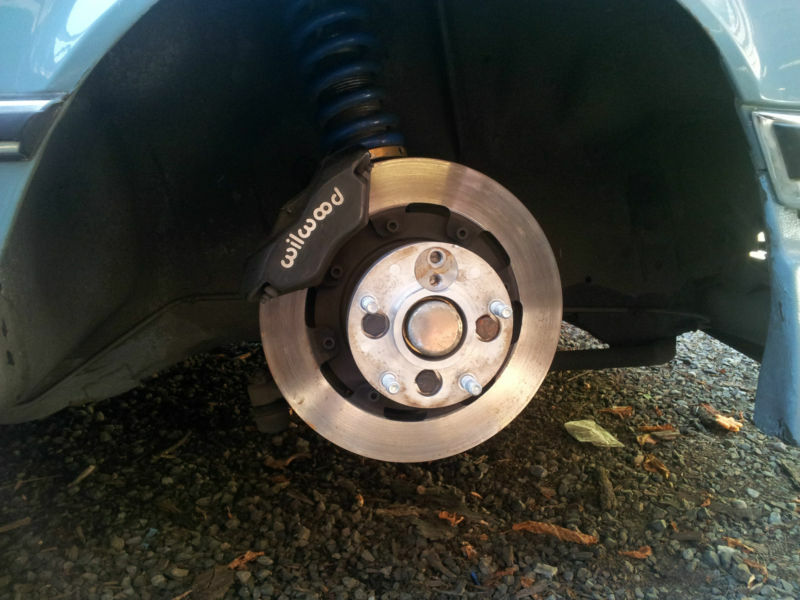 A pair of (big 15″ wheel version) 4 piston Wilwood front brakes with two piece rotors and stainless braided lines give this car amazing braking power. The car then was built into more of a “stance” car for lack of a better term. The car sits very low right now on custom Bilstein Coilovers. The car could easily be raised to a more reasonable height. E32 7 series wheels where tastefully fitted to the car using billet 5 lug adapters/spacers which give the wheels a perfect flushed offset. At first glance most people think the car is on Ronel Turbo wheels. 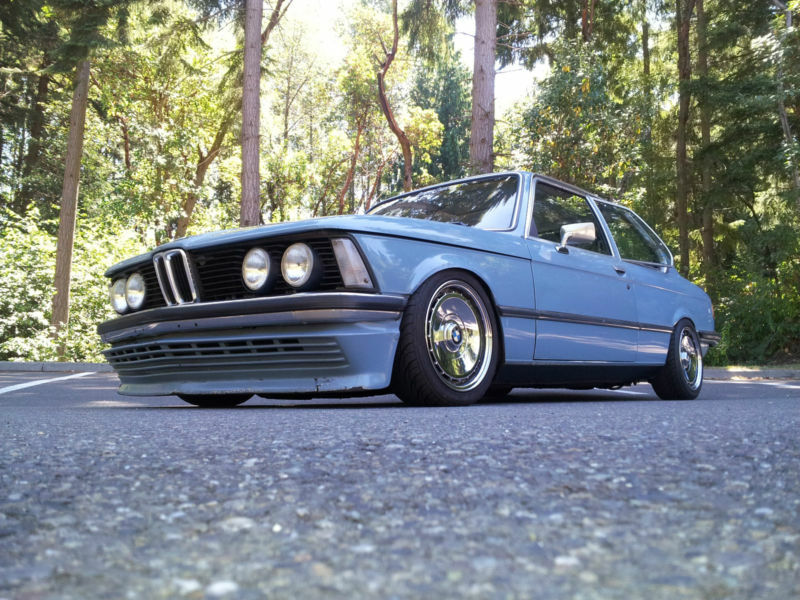 Euro bumpers and a BBS front lower spoiler give the car a clean aggressive euro look. The car presents itself very nicely but is not a perfect car by any stretch of the imagination. It’s in that area of not to clean to daily drive but clean enough to really turn heads. The car gets an absurd amount of attention so be ready for conversation most everywhere you go. It was entered in a stance show a little while back where it won first place in its class. Listed below is a complete (to the best of my knowledge) list of what’s been done to the car. I cannot say if any internal motor mods where made from it’s autocross days (ie. cams, head work, pistons etc.) 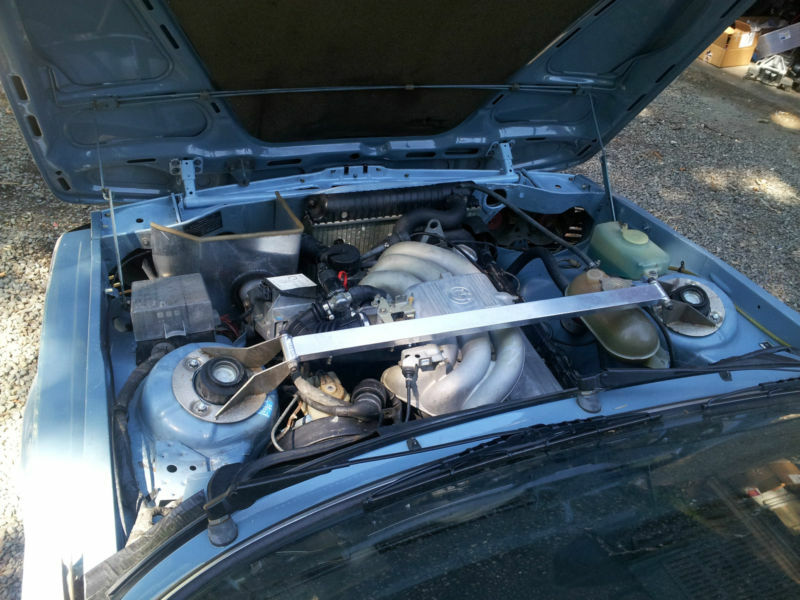 The car is a very strong runner and will surprise you with how much power is on tap. I would recommend the normal routine maintenance items such as plugs, wires, cap, rotor as I am unaware of the last time these were done. I did do a rear diff flush and new synthetic fluids with LSD additive. Custom length axles were made to accommodate ride height (I recently repacked all 4 cv joints). For how low the car sits the ride is surprisingly soft with almost no bounce and it handles like a go cart. It’s an absolute blast to drive! Transmission shifts through all gears smoothly and the clutch feels solid. 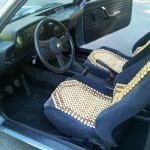 I am unaware of what the front seats where swapped from but are not original to the car. They are on custom brackets which still allow front to back slide. 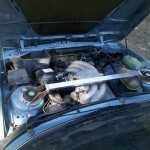 Please take your time and inspect the pictures below as they accurately represent the condition of the car. If you have any questions feel free to shoot me an email and I will get right back to you. Please continue to check back on this auction, I will add addendum’s on the bottom if there are more mods I forgot about or issues with the car. To me, this is a really interesting car. It grabbed my attention because with the 750i alloys it looks like a 7/8ths scale version of a Schnitzer Group A 635CSiâ€“ one of my favorite touring car racers. It not only has the looks though, with a set of serious performance upgrades. The best of these, of course, is the M20 transplant, but extends to suspension, drive train and brake upgrades. There sure is a healthy dose of track or autocross equipment tacked onto this car. That probably also means that itâ€™s been thrashed for some amount of time, but what older performance BMW hasn’t? Okay, so this isnâ€™t a car for everyone. Itâ€™s a mixed bag; part autocross, part 323 clone, part â€œstanceâ€ car. It looks a bit tired, I admit. But let’s say this car sticks below $5,000. At that price, it would seem to be a great alternative to a 2002 or E30, no? There are some neat harder-to-find parts there, like the BBS front spoiler and Euro bumpers. 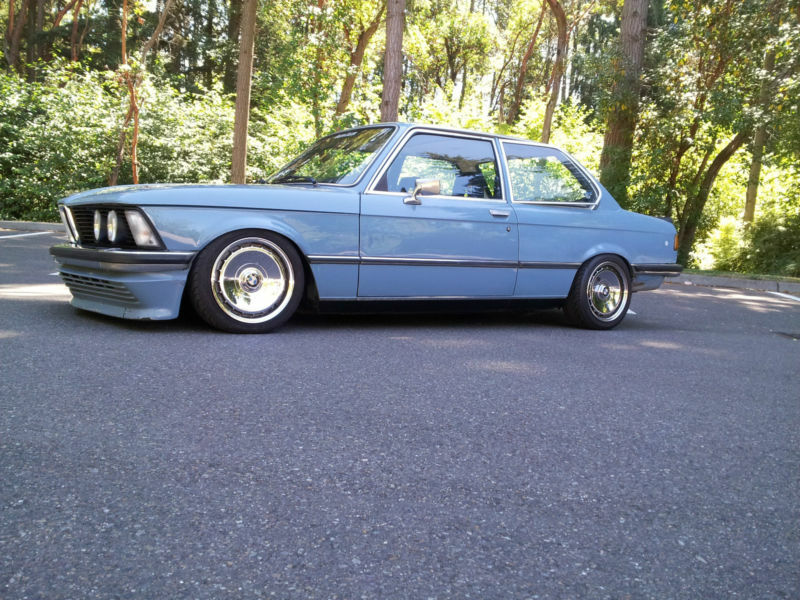 I love the Pastel Blue as a nice alternative to the E21 standard white, silver or black. Raise the coilovers up a touch, repaint the wheels silver, fix the drippy roof, and you’d have yourself a fun occasional car that you could autocross or track drive if you wanted. In comparison to the 02 and E30, the E21s still seem pretty low and obtainable on the BMW tree of value. The design has matured well, so expect to see values on nice examples of these cars climb over the next few years. 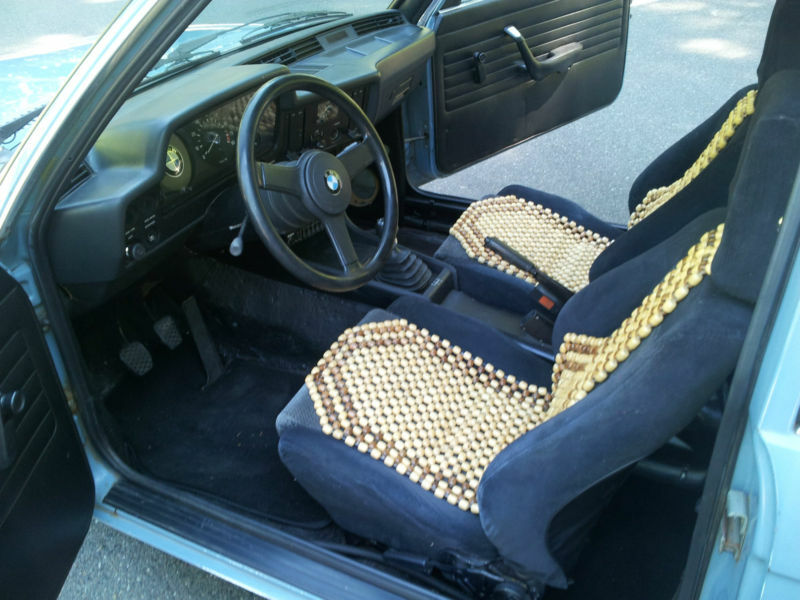 Maybe this isn’t the best example in the world, but it sure looks like you could have some fun with a sprinkling of style for not much money here. 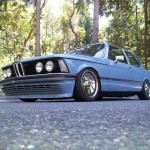 Tagged 1978, 320i, 323i, autocross, e21, euro, track car. Ah… “stancing”… The hipsters’ way of showing their ignorance when it comes to automobiles. The duct tape over the rear marker holes and the complete absence of a speedometer are just two of the nice (??) touches. As of the moment I am typing this, the bidding is already up to $4200, which is easily 50 to 100% more than I would be willing to spend on the car as it sits. Sadly, this car does have some redeeming qualities, but they are badly overshadowed. I could put together a long post identifying everything I see that’s wrong, but what’s the point? To get this car back to where I’d be willing to drive it on any type of a routine basis would take a mind boggling amount of time, energy and money.